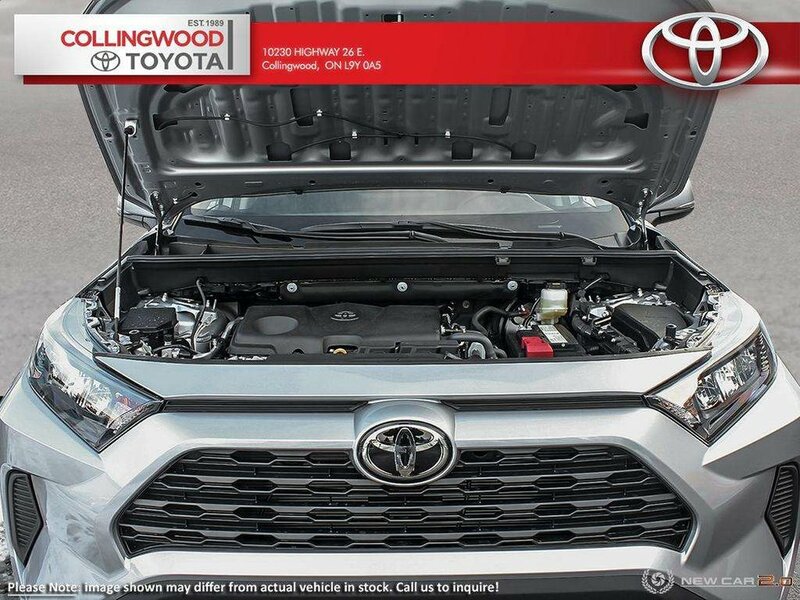 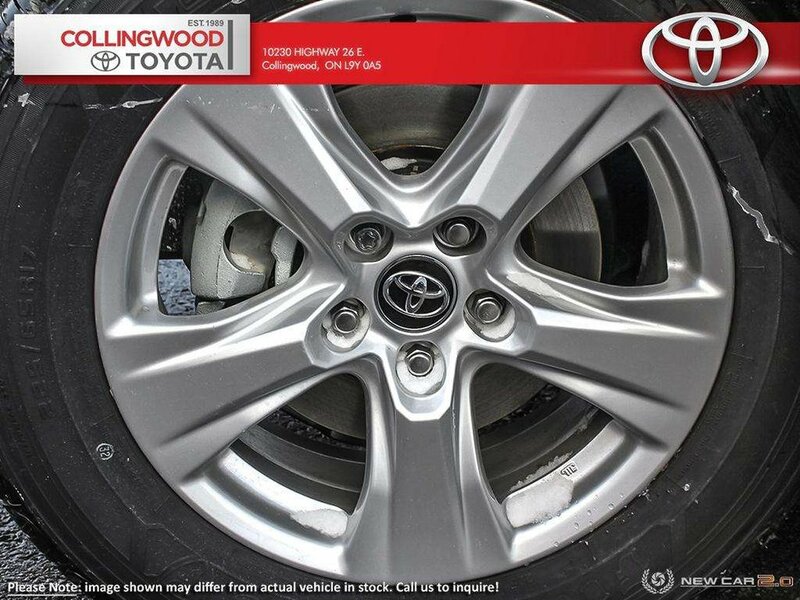 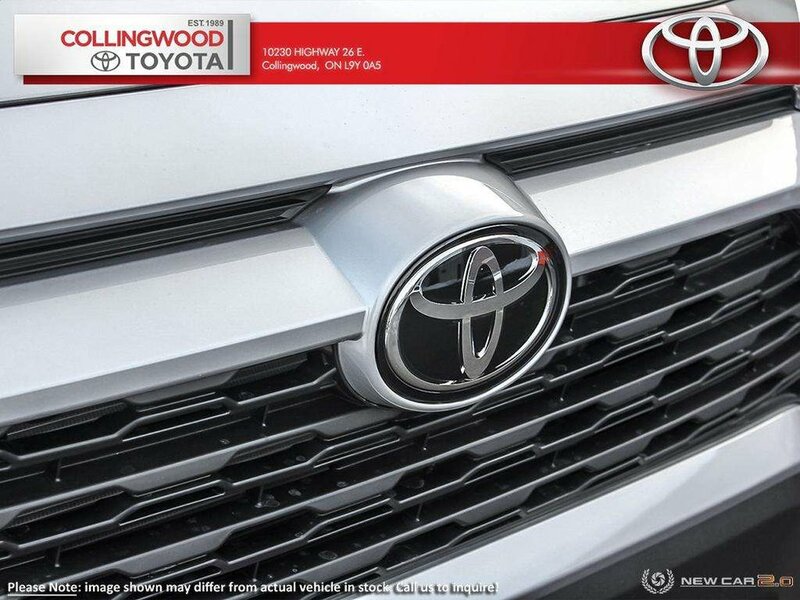 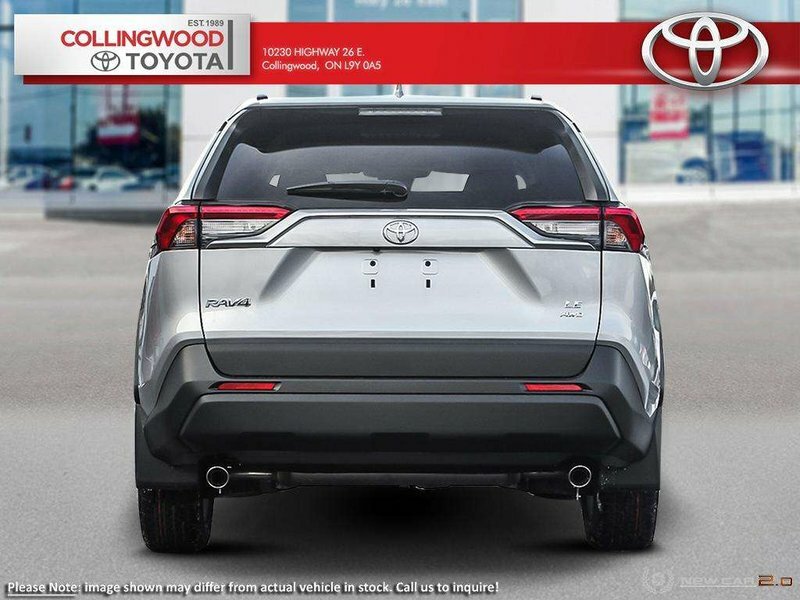 Your perfect RAV4 is here. 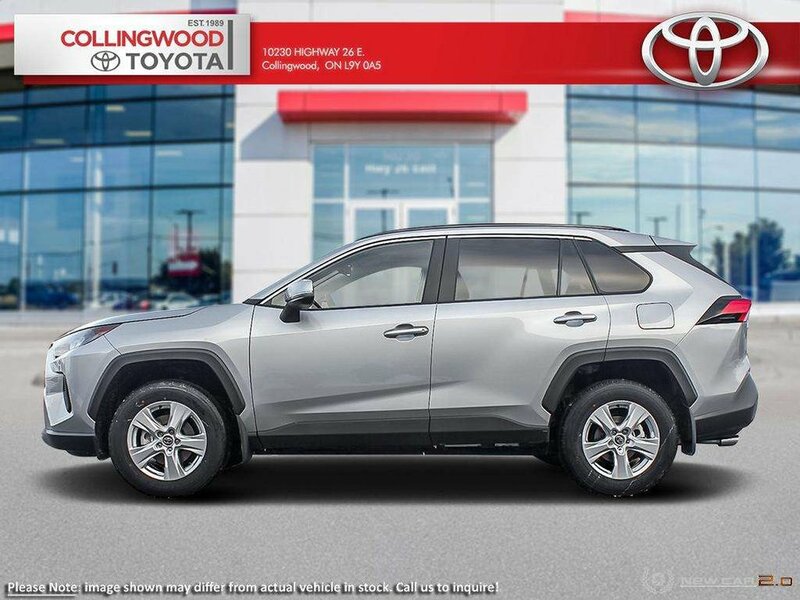 With its powerful style, dynamic performance, and exceptionally refined and enviably-equipped interior, RAV4 elevates the everyday to help you make the most of every moment. 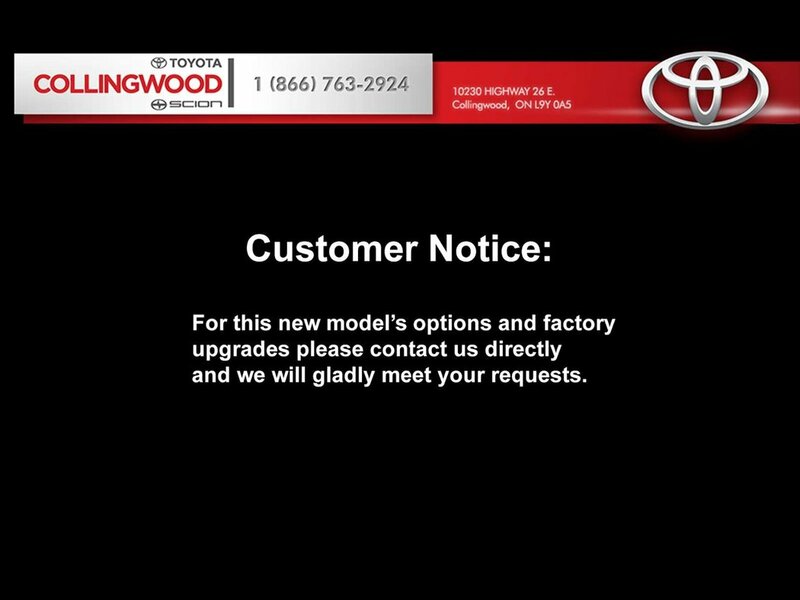 Available in gas and starting in spring 2019, as a hybrid model as well. 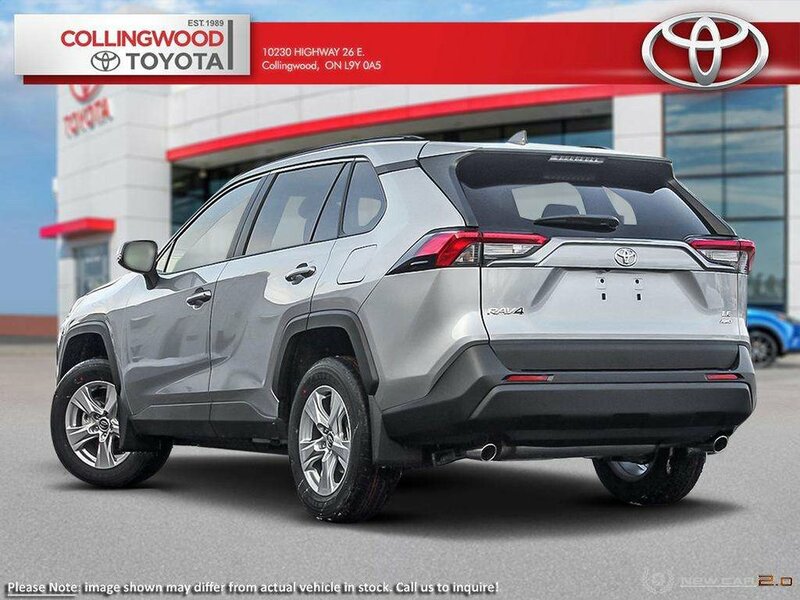 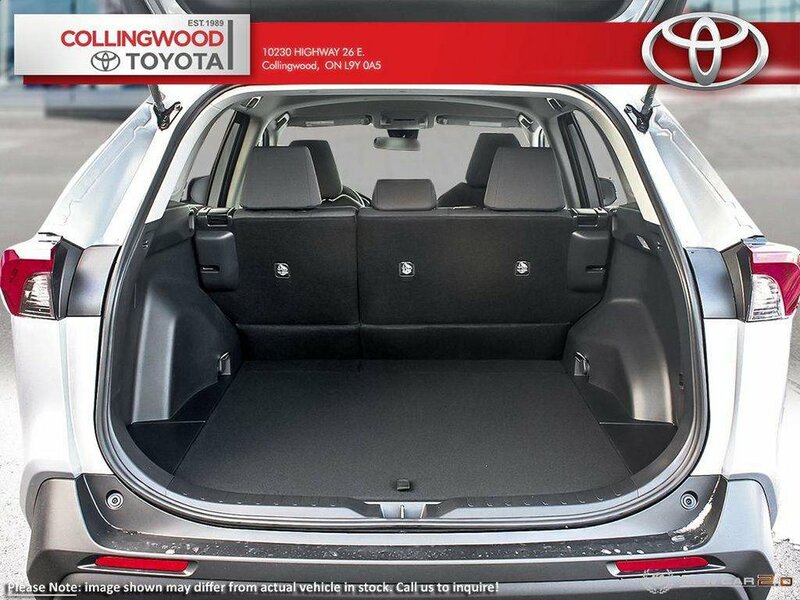 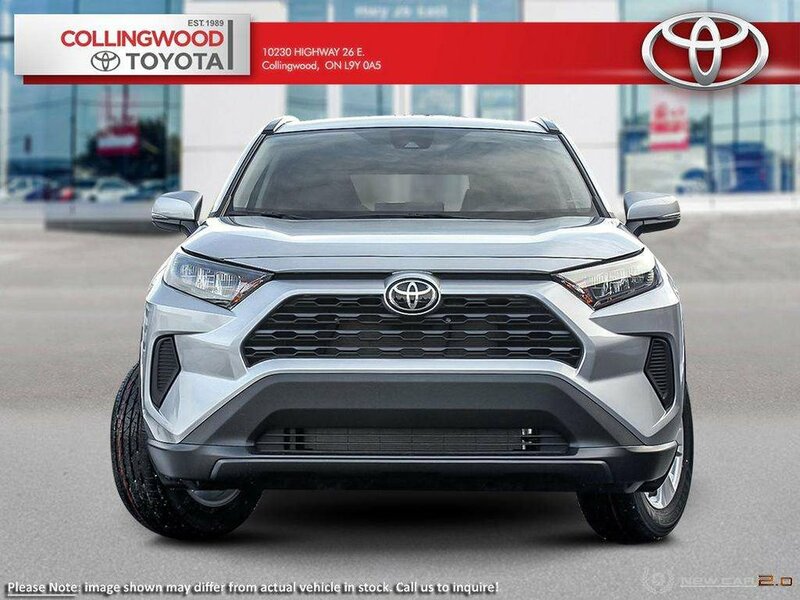 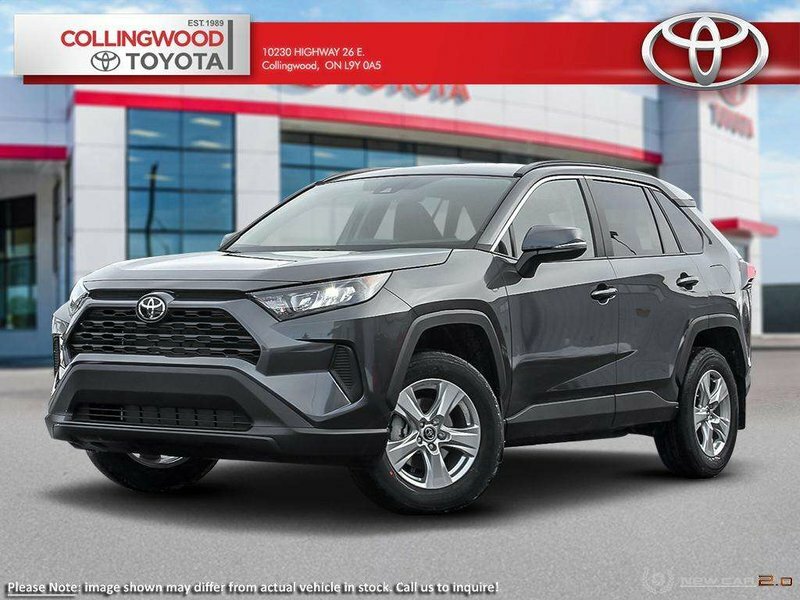 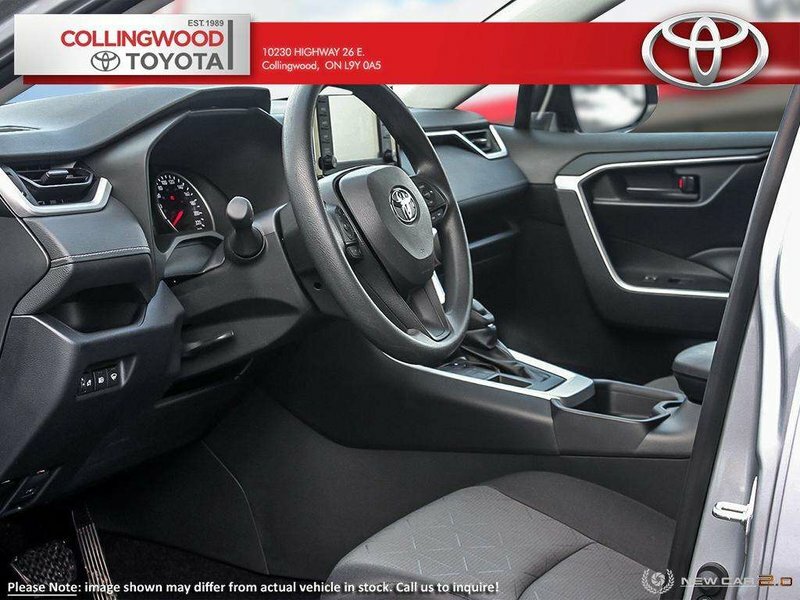 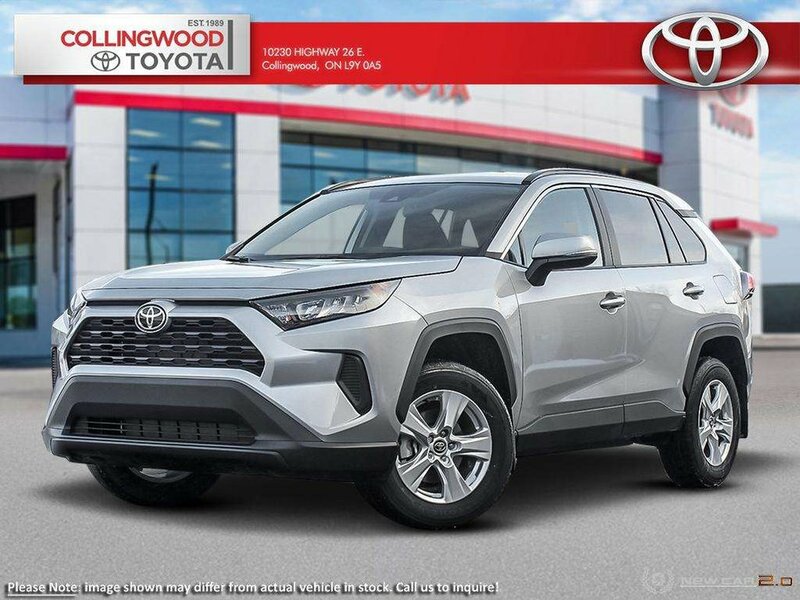 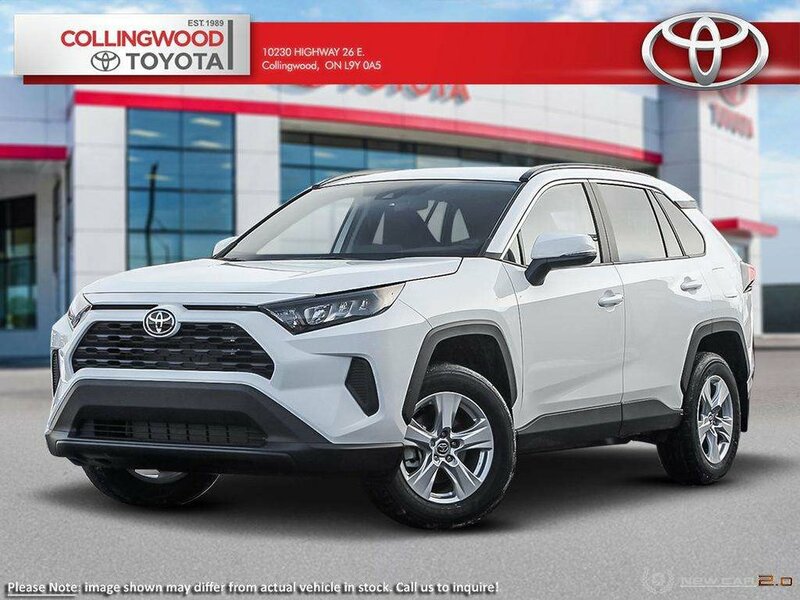 The 2019 RAV4 is a complete redesign, built on Toyota's new platform called Toyota New Global Architecture. 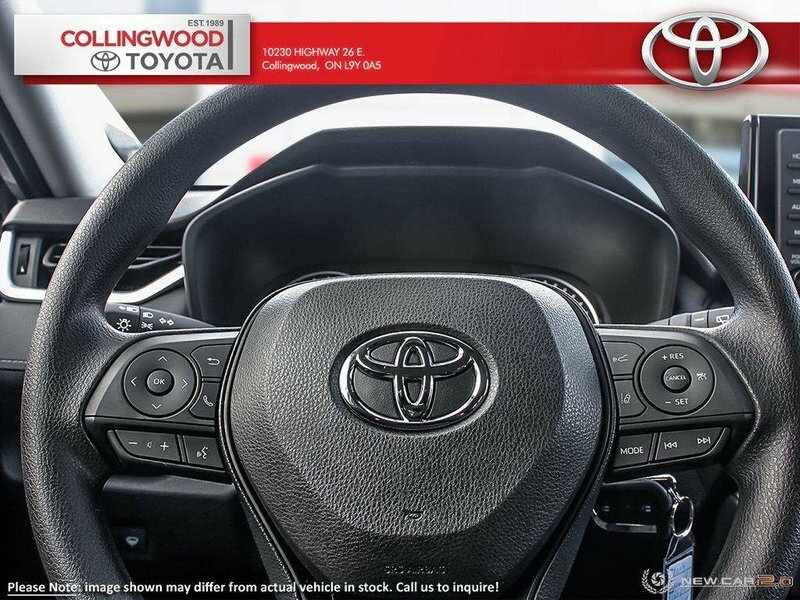 TNGA provides superior handling, acceleration you can feel, and the agility to move as you please. 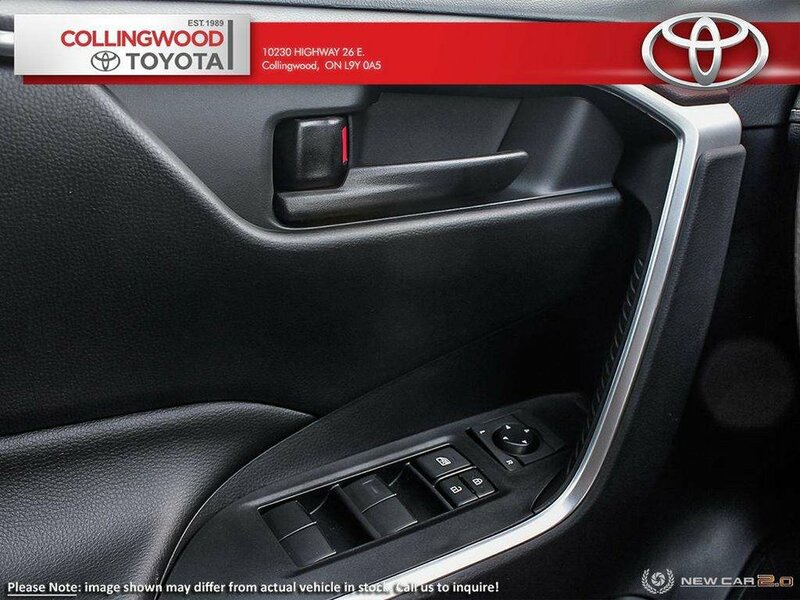 The sublime sound of the engine, and the fresh styling of a custom interior. As you sit in the driver's seat, hands on the wheel, your senses are awakened and you understand the true potential of a TOYOTA. 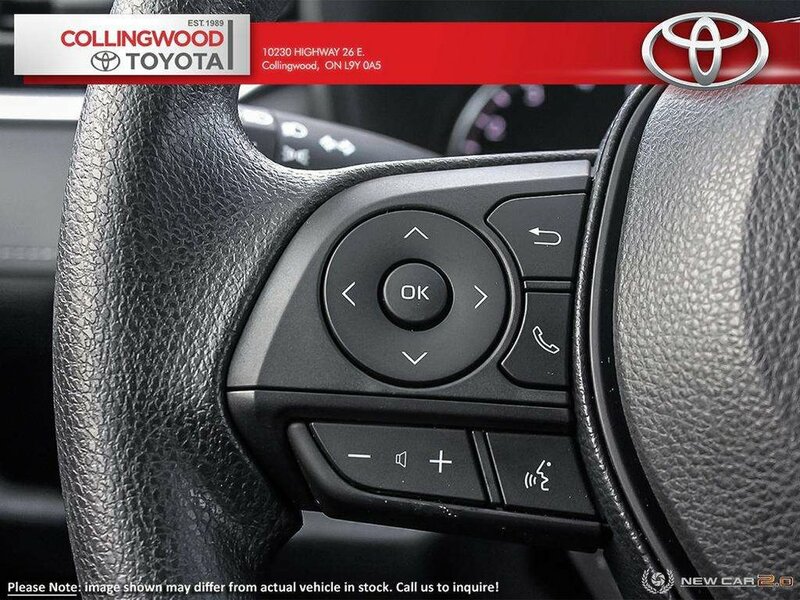 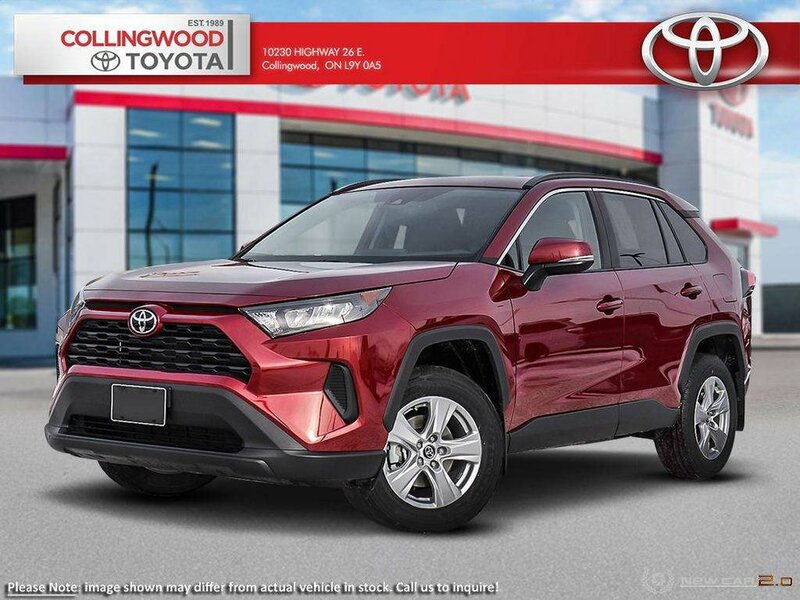 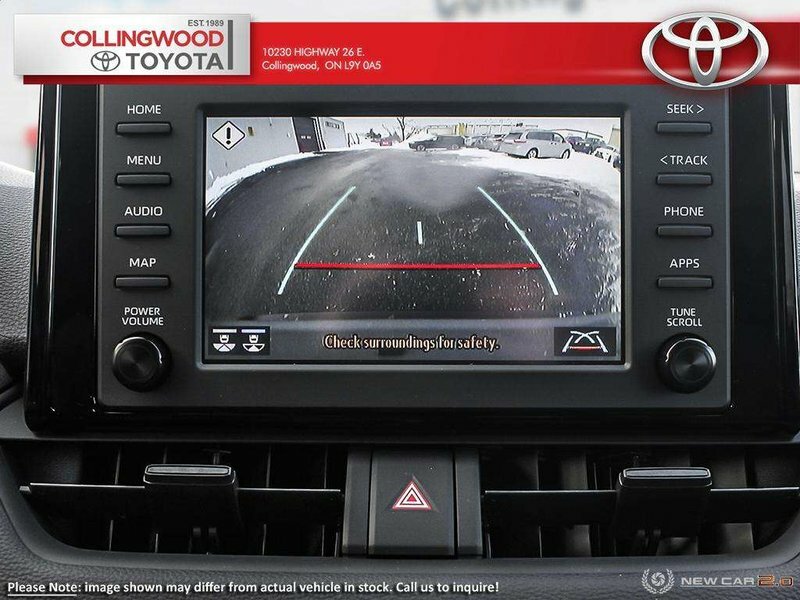 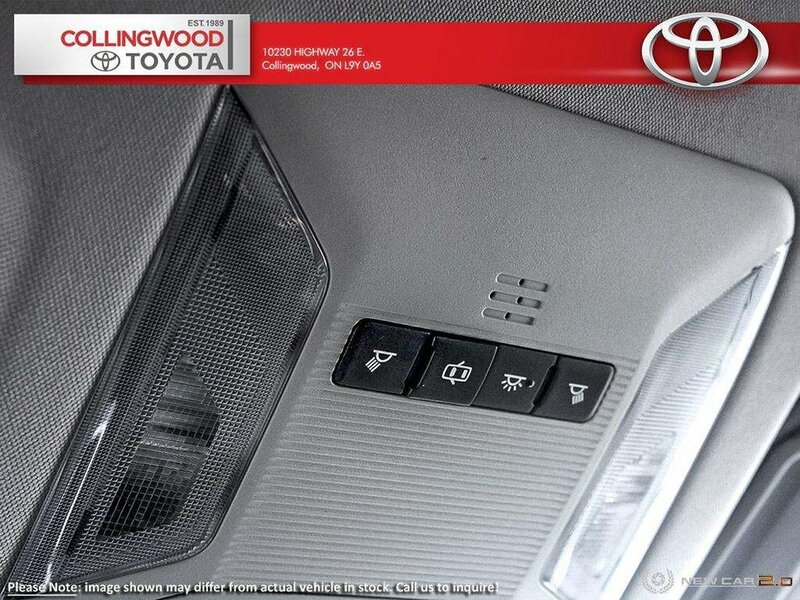 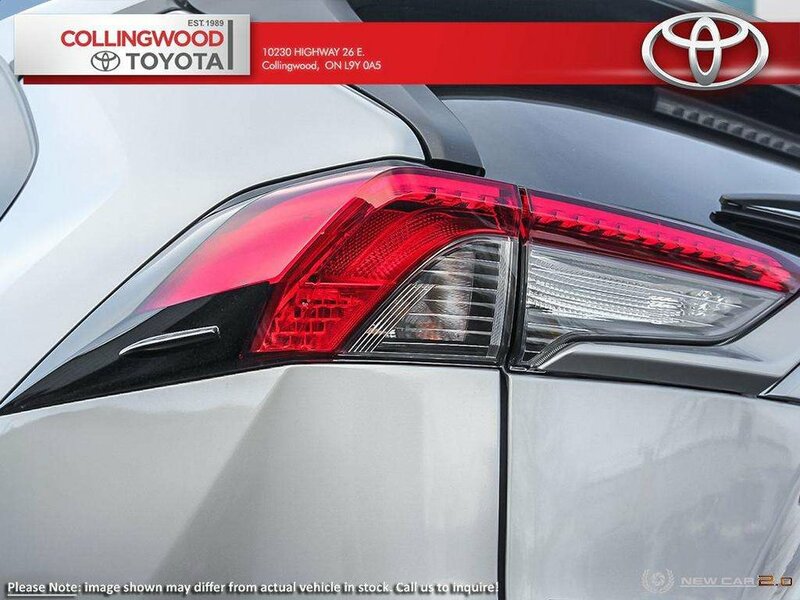 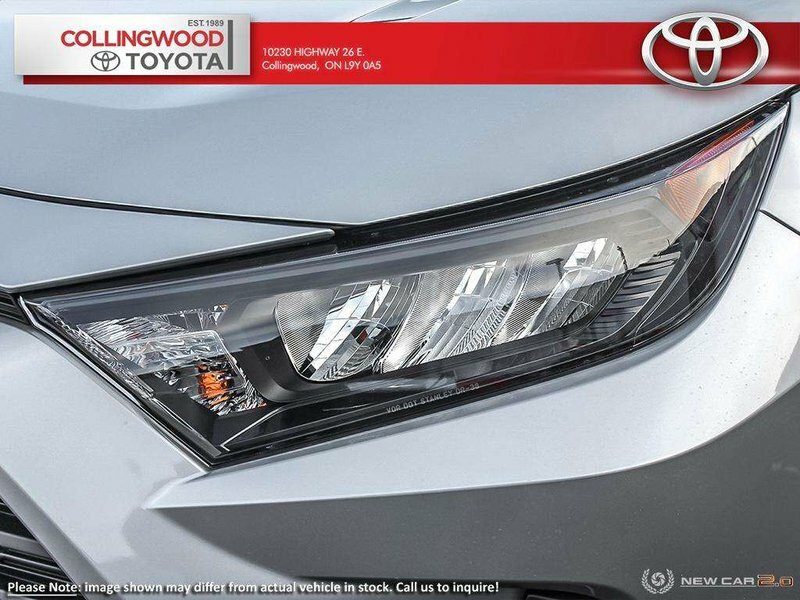 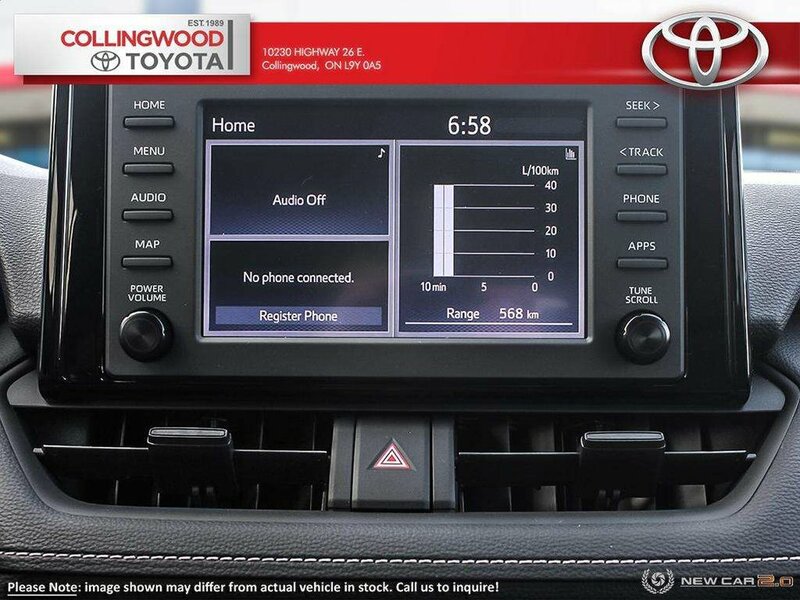 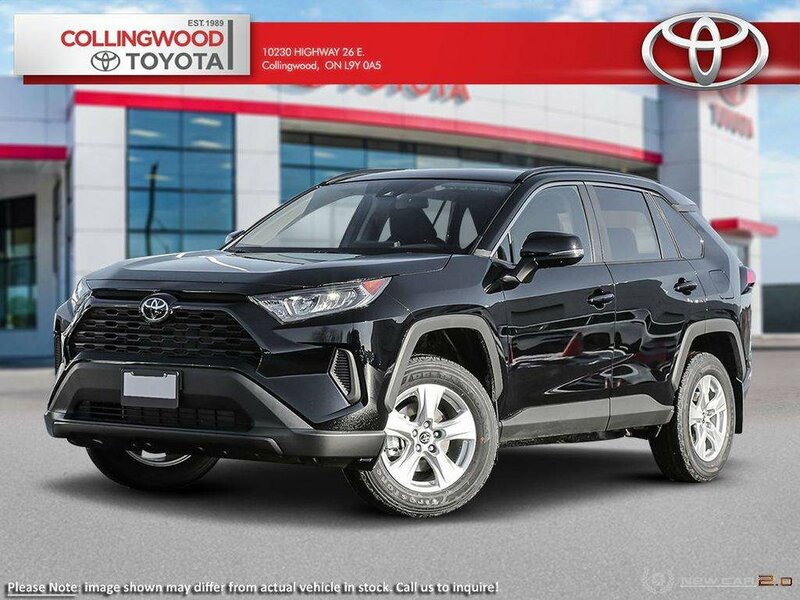 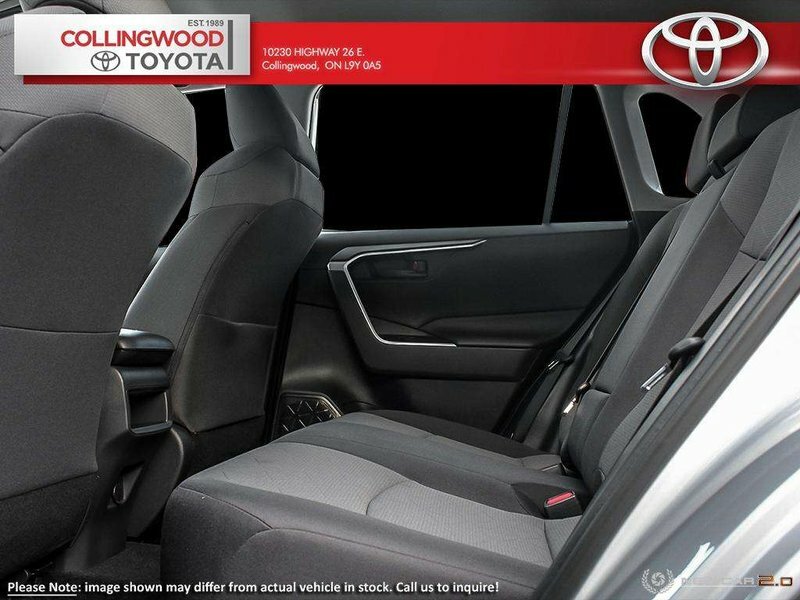 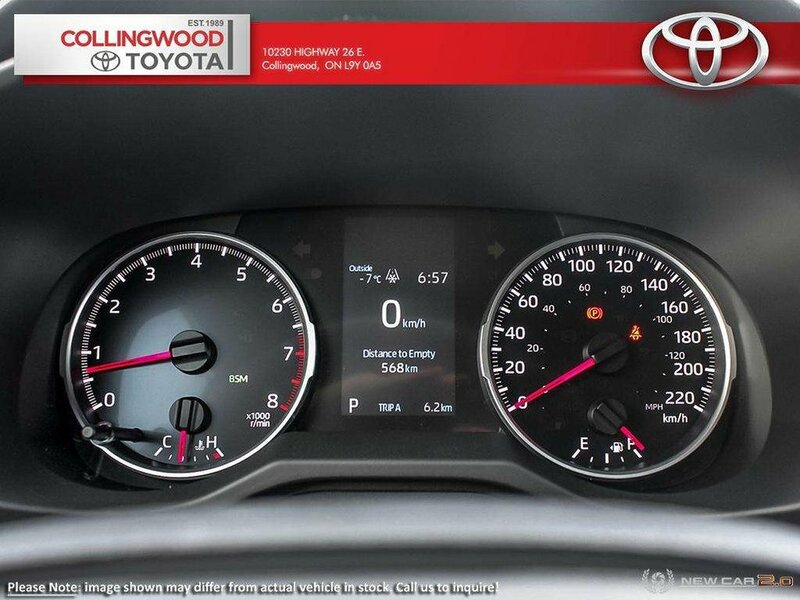 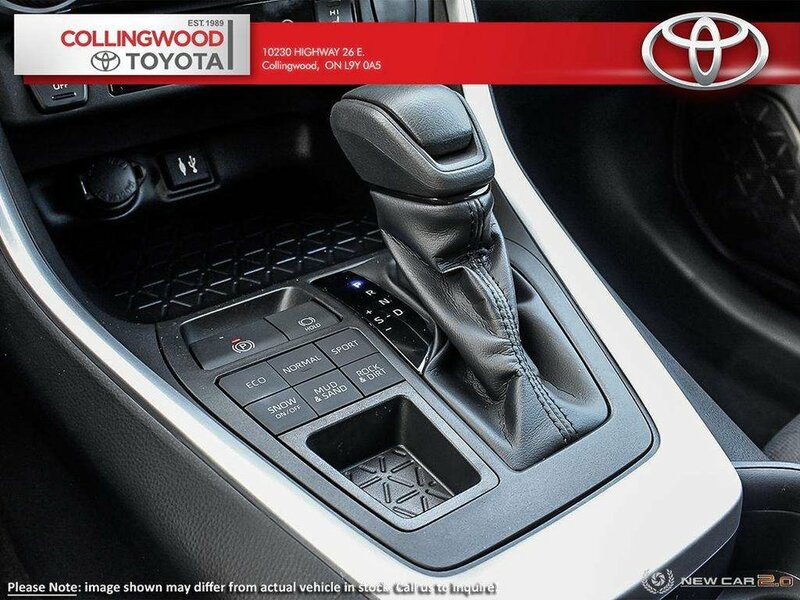 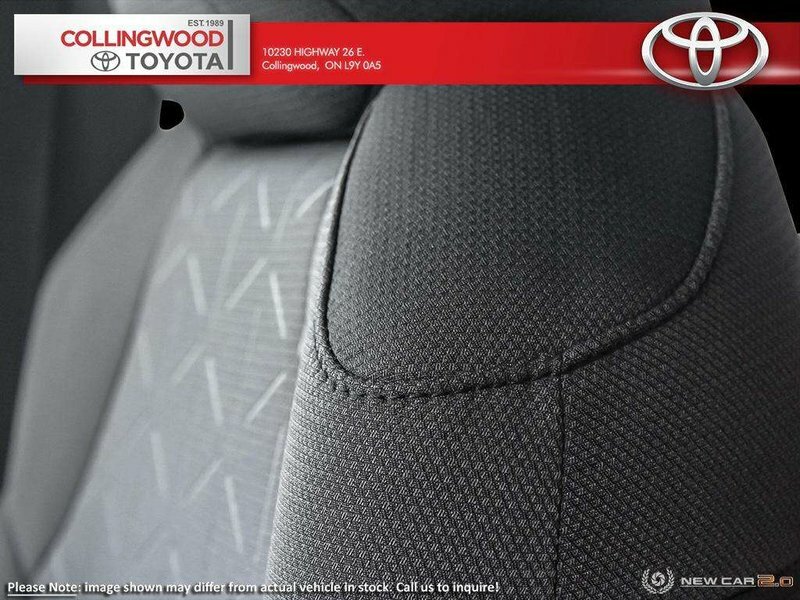 Every 2019 RAV4 comes standard with Toyota Safety Sense 2.0, which includes a pre-collision system with daytime cyclist detection and low light pedestrian detection, lane departure alert and lane tracing assist, automatic high beams and all speed dynamic radar cruise control. 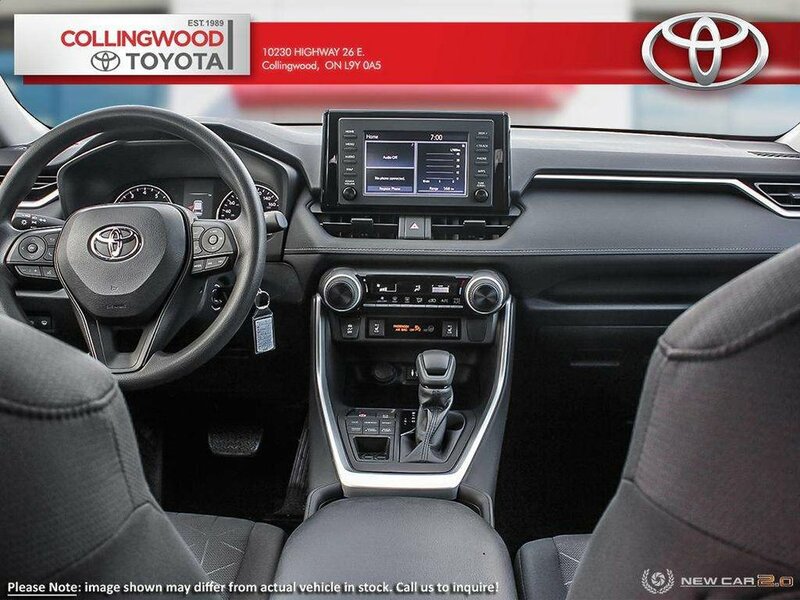 With this LE all-wheel drive you will enjoy features such as 203 HP, 2.5 Litre, 4 Cylinder Engine and 8-speed Automatic Transmission, Active Torque All Wheel Drive, Entune 3.0 Audio with 4.2 inch TFT Multi Information Display, Works with Apple CarPlay, Heated Front Seats, Blind Spot Monitoring and Rear Cross Traffic Alert and more!